Quick update! 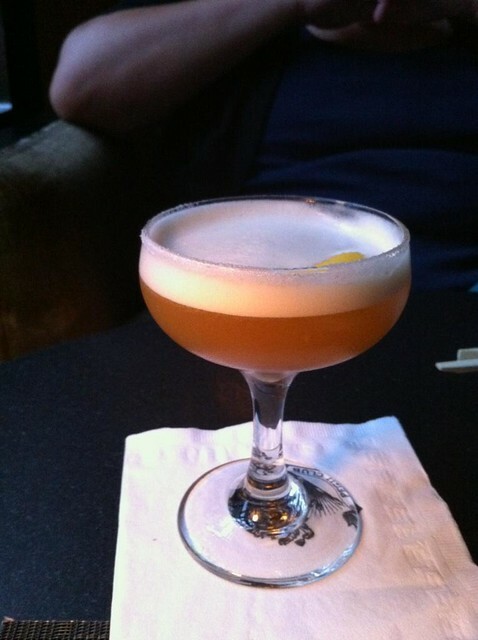 I finally went to Pegu Club last week and had the best drink ever. It’s an Earl Grey Mar-TEA-ni. It consisted of gin infused with Earl Grey tea, lemon juice and a raw egg white on top. DELICIOUS! They basically read my mind on what would be the perfect drink. I remember reading, either a year ago or maybe it was more recent, that they had to stop serving this drink because of the raw egg white. But, I guess that’s not an issue anymore. ~ by Rori on August 16, 2010.